Honoured by the industry with a Distinguished Services Award, Luke is a recognized authority on health education, fitness and nutrition. With over a decade of experience, he has not only helped to launch thousands of careers within the fitness industry, but he has helped them to become the leading experts in their field. He has delivered training and lectures to Personal Trainers at Fitness First, Virgin Active, Gymbox, David Lloyd and LA Fitness. Luke has written a best-selling book on nutrition which is available for Amazon Kindle called "The Ultimate Body Plan" click the link and buy it now! We are very proud to be working with Luke on the MyGymExpert.com project and the years of knowledge and experience in the field that he brings to this site. As a strength and conditioning coach who has developed programs for top athletes, fitness cover models, Royal figures and leading industry professionals, Luke is one of the most accomplished Personal Trainers in the UK. He has written for Women’s Health magazine, as well as presented numerous times at Fit Pro Live, Body Power UK and the World Power Show. His most recent venture saw him move to Saudi Arabia working for the Royal family. More than just a Personal Trainer, Luke not only travelled the world with them as a fitness and nutritional advisor, he also helped them to design and complete their home gyms filled with the best possible equipment. 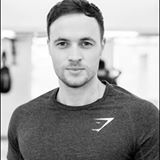 In a world filled with cons, money making schemes and conflicting information, Luke is passionate and dedicated to delivering the safest and most effective method for fat loss and well-being.